September 3, 2014  The NFL's first openly gay player was released by the St. Louis Rams last week. 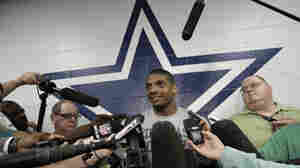 Cowboys Coach Jason Garrett said the decision to add Sam to the practice roster "is about football." May 11, 2014  After Sam was drafted by the Rams, he celebrated by kissing his boyfriend. 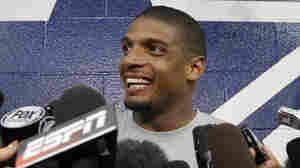 Sam will become the first openly gay player in the NFL. 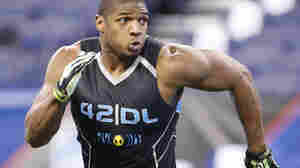 May 10, 2014  In the seventh round of the NFL draft, the St. Louis Rams have picked Michael Sam, paving the way for him to be the first openly gay player in the league. 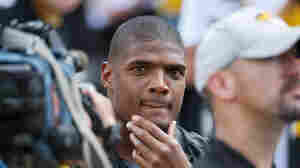 February 10, 2014  Michael Sam, a standout at the University of Missouri, announced that he's gay. 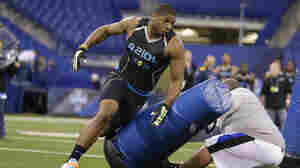 He's the first active NFL prospect or player to do that. 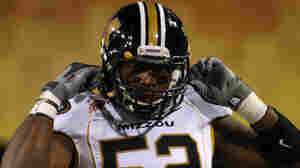 Scouts and executives say he wasn't going to be a first- or second-round pick before that news. 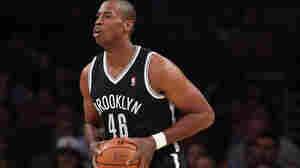 The reality is he's now slipped further in the draft, they say.